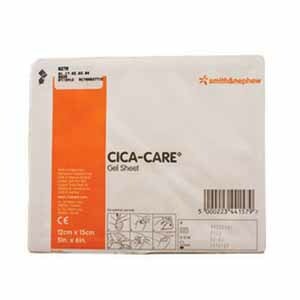 Smith & Nephew Cica-Care® Silicone Gel Sheeting is a patented technically-advanced form of silicone gel sheet for scar care. It is a self-adhesive sheet that is medically proven to be up to 90% effective in the improvement of red, dark or raised scars. It may be used on children and adults making it suitable for the whole family. Smith & Nephew Cica-Care® Silicone Gel Sheeting is easy to use. Improves the appearance of scars.